27 Morten and Inez attend the Oslo premiere of the Queen musical " We Will Rock You" at Folketeatret". Magne donates artwork to the Norwegian heart and lung patient organisation campaign which is auctioning artwork by various artists to benefit research on heart disease among women. 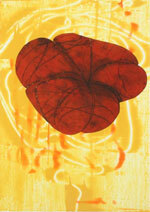 Magne's monotype was a made around 2000 and resembles a heart. 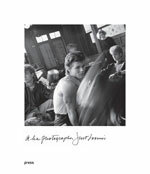 10 The book "a-ha photographer - Just Loomis" is released by Press Publishing. The 95 page book features shots of a-ha by photographer Just Loomis (www.justloomis.com). It includes a foreword by Magne, an interview with Morten and some text written by Paul. 10-3 April An exhibition "As We Are" of some of the work by American photographer, Just Loomis is held at Stenersen Museum, Oslo, Norway. The exhibition includes a selection of a-ha photos. 25 Apparatjik perform at the opening ceremony of the newly renovated Deutsche Bank Towers, Frankfurt, Germany. 2-4 The free event "Apparatjik Mini Summit" takes plave at the Deutsche Bank Towers, Frankfurt featuring film screenings, discussions and "Apparatjik iPad Disco Combats". 5 Morten and Magne attend the annual Spellemann awards at Oslo Spektrum. The show starts with a performance of "The Sun Always Shines On T.V." by various artists including Thomas Dybdahl, Janove Ottesen, Ida Maria and Bertine Zetlitz. Afterwards, a-ha are awarded the Spellemann Award of Honour which is presented by Janove Ottesen (Kaizers Orchestra), Thomas Dybdahl, Ida Maria Sivertsen and Bertine Zetlitz and accepted by Morten and Magne. Paul is in New York. 10 Magne is in Berlin, Germany. 12 Appaatjik perform at the first of three shows in their cube at The Apparatjik Light Space Modulator exhibition at Neue Nationalgalerie, Berlin, Germany. A couple of new songs were included in the set. 13-27 The Apparatjik Light Space Modulator exhibition is held at Neue Nationalgalerie in Berlin which includes a unique glitter ball electric car covered by thousands of mirror pieces. 23 German TV advertising, worth 4 million euros, starts in Germany on the TV channels ProSeiben, Sat. 1 and kabel. It runs until late April. 24 Morten is in Berlin, Germany and is guest on Radio Berlin and WDR2 radio. In the evening, Morten appears at the Echo awards to present the award to Amy Macdonald for "Best international female artist". 25 The live single "Summer Moved On" backed with "Scoundrel Days" is released in Germany. A, a-ha.com DVD release party is held at Goldapfel Cafe and Bar in Berlin which includes a showing of the forthcoming DVD plus a-ha disco. Morten makes a brief appearance at the party. 26 The Apparatjik Light Space Modulator, Neue Nationalgalerie, Berlin, Germany. 27 The Apparatjik Light Space Modulator, Neue Nationalgalerie, Berlin, Germany. This show is in collaboration with the Deutsches kammerorchester with Apparatjik conducting the orchestra. 28 Apparatjik release their new download only single "Combat Disco Music". 31 Morten is in Stockholm, Sweden for the recording of the talkshow "Skavlan" (broadcast 1 April). Apparatjik appear in a documentary on NRK1 about the village of Flø where they performed at a festival in June 2010. 1 "Ending on a High Note - The Final Concert" is released on DVD, Deluxe DVD (2 CDs and DVD) and CD in Germany, Norway and other parts of the world. The DVD release includes all songs performed at the final concert in Oslo on 4 December except for "The Bandstand" and "Bowling Green". Morten appears on the Norwegian / Swedish talkshow "Skavlan", recorded in Stockholm on 31 March. He is the first guest and stays for the whole show. 4 The Norwegian culture programme "Nasjonalgalleriet" (NRK2) reports on Apparatjik's Berlin project. Morten is guest on the talkshow "Skavalan" which is broadcast in Norway (NRK1) and Sweden (SVT1). 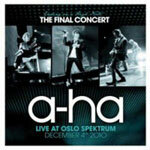 8 or 15 "Ending on a High Note - The Final Concert" Bluray is released in Germany and Norway. 16 Norwegian director, Harald Zwart, is guest on the Norwegian talkshow "Litt Av Et Liv" (NRK1), the show included a greeting from Magne Furuholmen. 18 "Ending on a High Note - The Final Concert" is released in the UK. 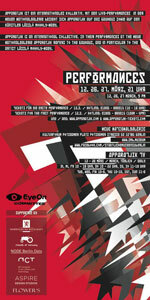 13 Appaatjik play their first concert in Russia at Strelka Institute in Moscow. 14 The German TV channel "ZDF NEO" broadcasts a special "Herr Eppert sucht die Liebe" about an a-ha fan (Kristina Braun) who was touring around the world for a-ha. 21 The men's German TV channel "DMAX" broadcasts "Ending On A High Note" on the show "DMAX Aufdrehen", it includes the songs "The Sun Always Shines On T.V. ", "Stay On These Roads", "Hunting High and Low", "Butterfly, Butterfly (The Last Hurrah)", "Summer Moved On", "Analogue", "The Living Daylights" and "Take On Me". 9 Morten is in the audience of the annual Bislett Games track and field event in Oslo. 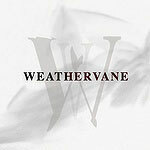 25 Paul Waaktaar and "Ours" frontman Jimmy Gnecco's project "Weathervane" release their first single "Weathervane" in Norway which is featured in the forthcoming movie "Hodejegerne" (Headhunters) (premieres 26 August 2011). The video by Lauren Savoy was filmed in Woodstock, USA. 5 Paul's son, Augie Savoy (aged 11) plays a role in the music video "Giant Mushrooms" by Erin Hill & her Psychedelic Harp". 7 On the German TV channel "Sat1" there is an "Ending On A High Note" "a-ha Special" including the tracks "The Sun Always Shines On TV", "Summer Moved On", "Foot Of The Mountain", "The Living Daylights" and "Take On Me". 14 Morten is in Vennesla in South Norway to sing Christian hymns with Harket Mannssangforening (The Harket Men's Choir) at the annual fundraiser meeting supporting Haydom Lutheran Hospital in Tanzania. 20 Paul and Jimmy Gnecco perform "Weathervane" at the 27th annual Amanda Award Ceremony at Haugesund Concert Hall in Haugesund, Norway. This event is part of the Norwegian International film festival. The show is broadcast live on TV2. 21 a-ha reform for a one-off performance at the Oslo Spektrum for the national memorial ceremony following the terror attacks on 22 July. The 90-minute show is for invited guests, survivors, family and friends of the victims and starts at 3pm. They perform "Stay On These Roads". The show is broadcast live on the TV stations NRK1, TV2, TV Norge, online at NRK.no and on the radio stations NRK P1, NRK P2, NRK P3 and Radio Norge in Norway. 22 Waethervane are interviewed by NTB, Side 2 and Dgsavisen newspapers. 23 Weathervane are guests on the radio show "P3" (NRK), they answer questions from listeners and perform an acoustic version of "Weathervane". 24 Paul and Jimmy (Weathervane) appear on the morning radio show on "P4" in Norway, they perform an acoustic version of "Weathervane". Morten visits Jamaica to learn more about the UNICEF project. 1 Magne opens a new gallery "Stolper + Friends" in Tjuvholmen, Oslo with Paul Stolper (London, UK) and Hugo Opdal (Flø, Norway). The first exhibition was scheduled to include Magne's new works "Futura Plus" but was cancelled due to the potentially upsetting nature following the tragic events in Oslo. Instead, the first exhibition is "The Souls" by Damien Hirst. 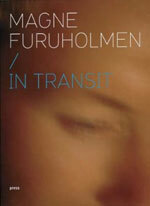 6 Magne's book "Magne Furuholmen / In Transit", a presentation of his activities as a visual artist, is published in Norway. 13 Magne is in Frankfurt, Germany at the Smart Urban Stage exhibition. Magne is one of three jury members to announce the winners of the Smart Future Minds Award. 14 Magne is at the release party of the third issue of "SOME" magazine in Berlin, Germany. In this issue, the magazine documents the workshop held by Magne and Apparatjik member Jonas Bjerre at the Burg Giebichenstein University of Art and Design in Halle. 25 A comedy show is held at the Konserthus in Oslo, Morten performs at the show (to be confirmed). The show is broadcast live on TV Norge (19:00). 15 Apparatjik play a concert at the Steirischer Herbst Festival of new art in Graz, Austria. 6 a-ha are one of the first five bands/artists to inducted into the new " Hall of Fame" at Trondheim's museum of popular music. Magne attends the closed ceremony. In connection with this, five time capsules with information about the artists and a secret message are on display for a year before they are sealed shut and not opened for fifty years. >br>	6 The documentary "Dance For Daddy", a portrait of Magne Furuholmen is broadcast on NRK's "Nasjonalgalleriet". 9 Magne and fellow artists Kjell Nupen, Ørnulf Opdahl and Queen Sonja of Norway have a preview of the group exhibition "Under store press" at Dunkers Kulturhus, Helsingborg, Sweden. The exhibition features 10 large prints from "Futura Plus". It runs until 5 August 2012. 11 The newspaper "Morgenbladet" publishes the top 10 Norwegian albums which were nominated by 100 Norwegian musicians, including Magne Furuholmen. "Scoundrel Days" is at number 2 and "Hunting High and Low" at number 3. In connection with this list, ten small books are published, including "Hunting High and Low" by Larissa Bendel and "Scoundrel Days" by Frode Grytten. Apparatjik release the first issue of their World magazine which is a free app for iPads with videos, pictures, the new 12-track album "Square Peg In a Round Hole" and other random stuff. 26 Magne's exhibition "Echo" (the re-scheduled "Futura Plus" exhibition) of 16 new works on canvas and paper opens at Stolper + Friends gallery in Oslo (1pm). The exhibition runs until 15 January. On 5, 6, 8, 10 and 11 December, the first ten episodes (two per day) of the talent show "The Voice - Norges Beste Stemme", featuring Magne as one of the coaches, is filmed for TV2 at Nydalen Studios, Oslo. 3 An a-ha reunion international fan party takes place at the Icebar in Oslo.